Starbucks first introduced nitro cold brew early in the summer of 2016. It was only available in select locations but provided the base for some of its best new drinks. 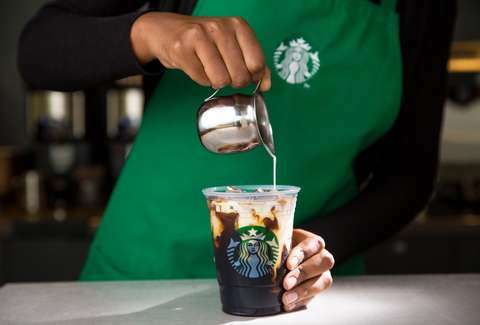 After years of limited availability, nitro cold brew is set to become a staple of the Starbucks menu nationally. Nitro cold brew, poured from a tap behind the counter, will be available at all company-operated US locations by the end of 2019, according to a report from Delish. The goliath of coffee chains made the announcement at Starbucks' 27th Annual Meeting of Shareholders last week. Since being rolled out in 2016, the nitro cold brew taps have made their way into nearly half of all stores in the US. Unlike your average cold brew order, this has been infused with nitrogen. "Imagine what a Guinness tastes like, but without all the booze," colleague Lee Breslouer wrote when talking about the Cold Foam Cascara Nitro Cold Brew. "It's chocolatey, creamy, caffeine-packed, and all with zero grams of sugar." While you can get variations on the nitro cold brew, the five-calorie drink can also be ordered on its own with your name misspelled on the side. It's well-timed because it's almost time to change your go-to coffee order from a hot to an iced variation.